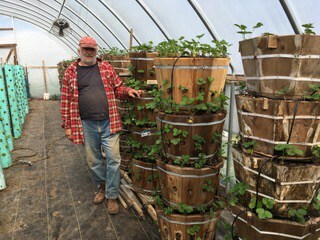 Erik Gundacker, a former computer engineer and now owner of Scenic Valley Farms based in Rosemount, Minnesota, grows organic strawberries in stackable pots in high tunnel structures. 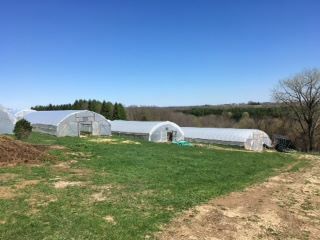 He is providing local markets with fresh strawberries 8 months out of the year, something that heretofore was unheard of in this part of the world. 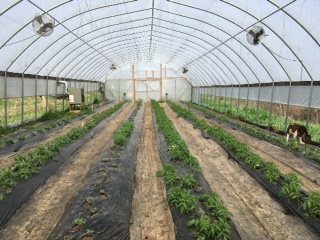 Last year he added it to his irrigation tank and ran it through the drip lines, growing 5 different varieties of strawberries, 6 stacks, with 50 plants per stack, all grown in soil. He found an increase in yields in all but one of the varieties. 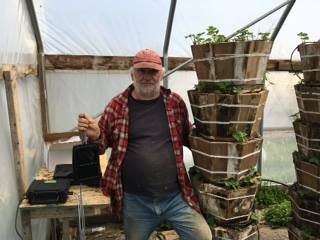 He says this year he’ll be growing 4X’s as many berries using the system, which he thinks will give him a more representative sampling. Gundacker is confident that the system will deliver. 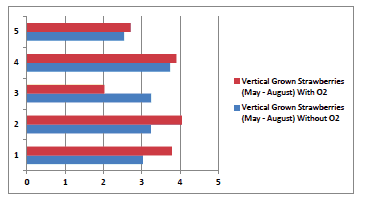 Yields increased in 4 out of 5 trials.